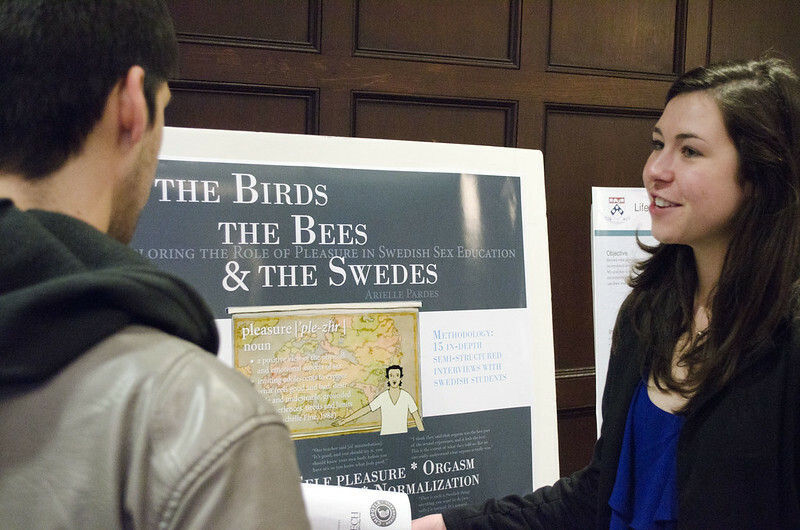 Each year, the Center for Undergraduate Research & Fellowships (CURF) hosts Undergraduate Research Symposiums, where undergrads present their research on fascinating topics. David and I try to make a habit of going to the symposium each semester, and I have enjoyed talking with students about their work on everything from Allen Ginsberg to soccer-playing humanoids. We wrote about the September 2012 posters back in January, and we’re excited to add three new posters to our Student Work Showcase from the March 2013 CURF Symposium. This year in my class, Literature of the Great Depression in America, I designed three class days (I called them clinics) around connecting the text-based resources of Van Pelt Library — the stacks and rare books and manuscripts — with the library’s digital resources through WIC’s iPad lending program. While combining rare books with a more cutting edge tool might seem an unusual pairing, students found both cool and the combination solved a problem that I had getting students to understand the process and people involved in creating the types of books and magazines that readers used in the 1930s. Penn undergrads interested in DH are especially encouraged to submit a proposal, based either on a project you’ve already completed or one that you’re interested in starting. Our staff at WIC would be excited to help you with whichever project you choose. Project ideas can be found by exploring some of our resources here at WIC, whether on our Student Work Showcase page, or in our various blog posts (see some of my posts on Demystifying the Digital Humanities, Playing Games with Metadata, and the Penn Humanities Forum, for examples of some DH ideas). Re:Humanities also encourages “transmedia storytelling,” which could be a very fun and less complicated project than, say, data or text mining. Here at WIC, we often use Storify to capture our events, by creating a narrative from pictures, tweets, Facebook posts, and participant comments that accumulate over the course of an event. 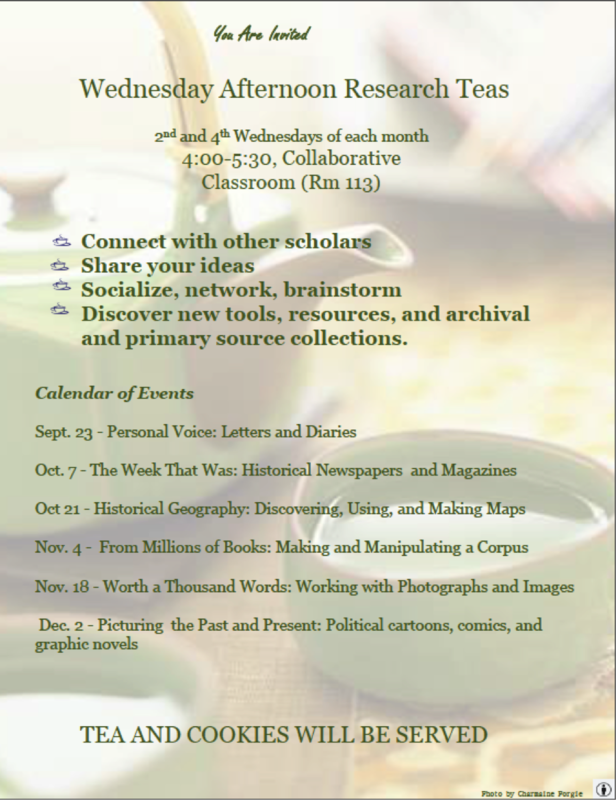 See our Gadget Day and Symposium Storifies as examples. Such a digital story could be especially interesting to recount current events, for example, highlights of the 2012 election. If you’re not into storytelling, you could think about some other topics that those at WIC have explored in the past: creating a mashup video, a comic book, or an interactive Google map. These are just a few ideas that you can explore. Please come talk to us if you need help developing or carrying out an idea. The deadline is next Friday, December 7, and we wouldn’t want you to miss this DH opportunity! Each summer, WIC staff and librarians from many parts of Penn Libraries have the distinct pleasure of helping the McNair Scholars cohort with their summer research projects. Last year, the students explored creation of research posters in addition to live presentations (with PowerPoint). This year, that trend continued. 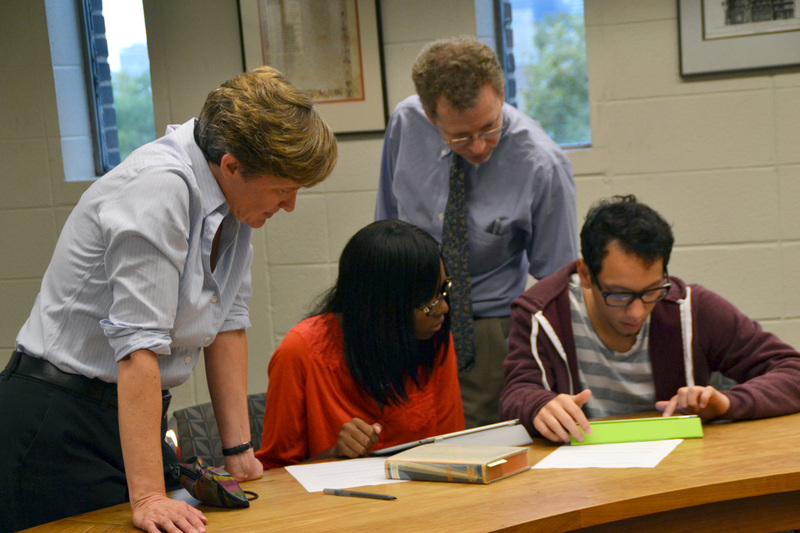 Nine McNair Scholars spent many days this summer in Van Pelt mastering reference managers and presentation software. Our staff helped students design, and refine, their posters, and we are glad to present a few examples in the 2012 McNair Student Poster Showcase. We look forward to assisting the nine student researchers as they continue to explore these topics over the upcoming school year.